Wow. The world has certainly changed a lot in the last twenty-five or so years. After the earthquake of Harvey Weinstein and the aftershocks of #MeToo, it's evident that the landscape of sexual harassment has seismically altered. 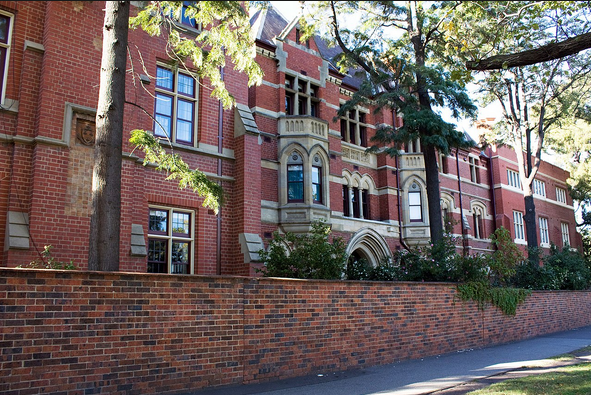 It no longer seems 'disproportionate', 'ferocious', 'priggish' or 'punitive' to accuse the head of a residential college of sexual assault for groping female students. * Instead, it's Garner's claim that the young women should have 'handled' the incidents in the moment that seems naive and unrealistic. Again and again, Garner's own personal history and sympathies lead her into collision with a new brand of young feminists. They don't understand her, and she doesn't understand them. They are supposed to be on the same side, but they are speaking utterly different languages. And Garner's early, impulsive letter of support to the accused man at the centre of the controversy brands her as being irrevocably on his side; the two young women and their supporters refuse to talk to her. Why would they? And yet bewilderingly, Garner observes and sharply describes the structures of patriarchal power all around her. Two 'Ormond men' stand over her impassively as she scrambles out of their way in a court room, ignoring her. The photographs in the college entranceway are dominated by male figures. She recalls incidents of harassment and violence from her own life and those of her friends. But stubbornly she insists on discrimination between 'real violence' and 'a boorish pass.' Repeatedly Garner refuses the idea that it might be more helpful to see these events on a single sliding scale, of men objectifying women, refusing to see them as fully human -- not the same thing, but part of a single pattern of thought and behaviour. The book ends with a bitter line: 'If only they hadn't been so afraid of life.' (They being the young women.) She grapples with the 'passivity', the freezing of so many women when men transgress, just closing our eyes and hoping it will stop. She guesses that we are conditioned to be afraid of denting male egos. I don't know about that. Maybe it's more simple; maybe, on some deep primal level, we are afraid of male anger, of the very real possibility of male violence. A friend of mine was murdered by her partner. Who was it who said, 'Men are afraid that women will laugh at them. Women are afraid that men will kill them'? Garner tries to argue that women have their own power to command in these situations -- the power of Eros. Hm. Maybe that's true, sometimes, but Mars can overcome Eros in a heartbeat. I would love to know what Helen Garner thinks of this book now, so many years on. I doubt we'll ever know. She copped so much criticism for what is, in the end, a searching, thoughtful book (even if I disagree with its conclusions) that she probably never wants to discuss it again. *Likewise, the idea that the college should acknowledge the Aboriginal owners of its lands no longer seems astonishing, but reasonable. Patricia Wrightson's award-winning The Nargun and the Stars was first published in 1974 and has been reprinted many times, with many different covers. The one pictured above, the one I own, is about the ugliest version I've come across. Ah, well. I thought I had already read this book, but it seemed unfamiliar. Wrightson was one of the first Australian writers to incorporate Indigenous myth and stories into her works for children -- she recognised that instead of European elves and fairies, this land had its own sprites and spirits: the Turong tree-spirits, the mischievous Potkoorok, the menacing rock-creature, the Nargun, the little cavern-dwelling Nyols. Patricia Wrightson was initially acclaimed for popularising a distinctly and proudly Australian form of fantasy writing; later, she was criticised for appropriating Aboriginal cultural material for her own gain. Certainly if Wrightson were writing today, she would need to consider issues of consultation, sensitivity, and cultural dispossession. But back in the 1970s, it was a worthy project to introduce non-Aboriginal Australian kids to the rich heritage of Indigenous legend. Wrightson always tried to distinguish between magical 'folk' creatures, which she felt comfortable to write about, like the ones in this book, and sacred figures like the creator spirits, which she was careful to avoid. However, there is an argument that in Aboriginal culture, this is actually a meaningless distinction -- everything is sacred to some degree, and it's disrespectful to describe the Potkoorok, for example, skipping around his swamp and gleefully playing tricks on the Boy. One aspect of this book that definitely makes me uneasy is the complete absence of 'the tribes' who once populated this country. The spirits remain, but the people have vanished -- or been obliterated. 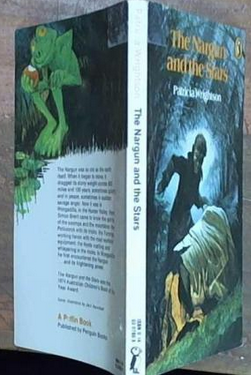 In later books, Wrightson would address this more directly, but in The Nargun and the Stars, it is a glaring gap in the narrative. It's been almost ten years since I first read John Danalis's Riding The Black Cockatoo, but I well remember the deep impression it made on me at the time. I was working on Crow Country, and my editor at Allen & Unwin recommended it to me. Later that year I was lucky enough to meet John himself at a festival, and he was just as lovely as he seems from this book. And it was through his involvement in the events of Black Cockatoo that I made contact with Gary Murray, who so generously consulted on my own novel. 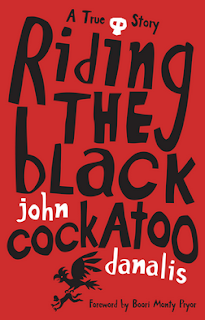 Riding The Black Cockatoo is a truly extraordinary story. John grew up in a house filled with weird and wonderful curios -- including the skull of an Aboriginal man (nicknamed Mary) on the mantelpiece. From the moment it first dawned on adult John that something should be done about this, that the remains should be returned to their original resting place, events seemed to gather their own momentum. It so happened that a return of remains to the right area was about to take place, just in time for Mary to be included; the right people appeared at the right moment, a rare black cockatoo greeted John as he rode through the bush, instinct (or the universe, or the spirits) seemed to lead John down the right path. It's a deeply moving and poignant journey, which took an immense personal toll on John himself, which he frankly recounts -- as if echoes of all the pain of dispossession and cruelty is visited on his own psyche. This book helped to open a window on Indigenous culture for me. I think it should be compulsory reading in every classroom, and for every Australian adult, too. As a long-time deep admirer of Helen Garner's work, I was very excited to see Bernadette Brennan's A Writing Life pop up on Brotherhood Books. Why do people get rid of these amazing books? Lucky for me that they do. A Writing Life is not a conventional author biography. 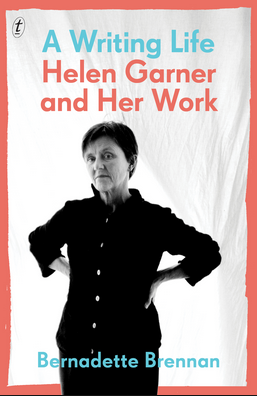 Rather, it examines Garner's body of work, volume by volume, and relates each publication to events in Helen's life at the time. Though Brennan had access to journals and letters, much remains private -- though Garner has always admitted that the substance of her own life has provided the material for her writing, the line between fact and fiction often blurred. 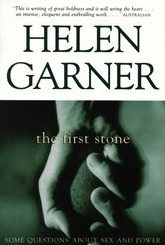 From the seminal Monkey Grip (the famous Monkey Grip house is just opposite my daughter's school, where Garner herself was a teacher for a time), through largely autobiographical short stories and novellas, to her later non-fiction examining questions of justice and responsibility (Joe Cinque's Consolation, This House of Grief), Helen Garner has mapped her own relationship to a wider world and wrestled with the same questions through a long and productive life. This survey of Garner's work has revealed the gaps in my reading -- incredibly, I think I've managed to miss a handful of early stories and essays. And it's also fired me to reread some books that I might understand better for having read Brennan's insightful observations and analysis. The controversial The First Stone will, I think, make more sense to me now. As soon as I get a chance, I'll be returning to it. Look at this gorgeous cover -- how could I resist snapping up this book? 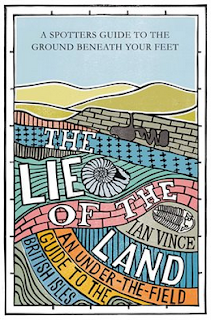 I've also been drawn lately toward books about landscape and relationships to country; I guess Ian Vince's The Lie of the Land takes the concept a step further by examining the geology of the British Isles, the rocks beneath the surface and how they effect what lies above. Now, except for specialists, geology is not commonly regarded as a particularly interesting topic (my thirteen year old has just finished a Geology unit at school and declares it to be the most boring subject EVER), but Ian Vince has done a commendable job injecting humour and human interest into his survey to create a surprisingly entertaining journey which travels both back into deep geological time and around the corners of Britain. He also throws in more modern history -- tin mining in Cornwall, slate in Wales -- and anecdotes about his own research process, tramping up mountains and exploring wilderness, to bring the landscape to life. I'd love to read a book like this about Victoria. The geological chapters I've come across in local history books are dry as old toast. 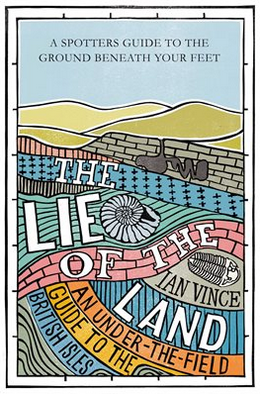 The Lie of the Land manages to be a thoroughly engaging read. Wow. 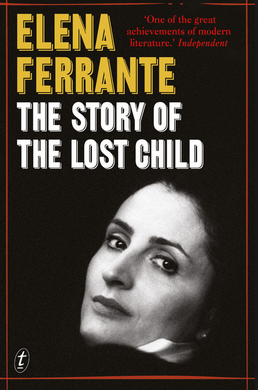 And so I reach the end of the saga -- the final volume of the Elena Ferrante's Neapolitan novels, The Story of the Lost Child. As I foresaw, the canvas of the story broadens out in this last book to take in a wider world. Now a celebrated author, Elena travels to France, Germany and the United States; meanwhile, Lila, her reflection and double, remains within the tight-knit community of the old neighborhood. Perhaps inevitably, Elena too is drawn back to the familiar streets (not a spoiler: I always knew Nino was a rat!) and ends up living in the same building as her old friend. Never have their lives been so closely entwined, as they both bear daughters, one fair, one dark, a new version of Lila and Lenu's coupling. But there are still shocking events to come. I crammed down this novel hungrily, too fast perhaps, and when it was finished I still wanted more. The power of female friendship, stronger sometimes than family, stronger than the ebb and flow of love, is a topic under-explored in literature. Hopefully the success of Ferrante's novels will change that. Meanwhile, I need to find a quiet corner and digest what I've read. I needed a couple of breaks to make my way through this, the third volume of Elena Ferrante's Neapolitan novels. As usual, I found the first fifty pages hard going, but then it was a race to the finish. The two friends, Lena and Lina, are now adults, negotiating relationships, children and careers. At the beginning of the novel, life is looking rosy for the narrator, Lena, whose book is a success and who is about to marry into a distinguished academic family. It seems she has escaped the old neighborhood with its deep-rooted, sordid power struggles. 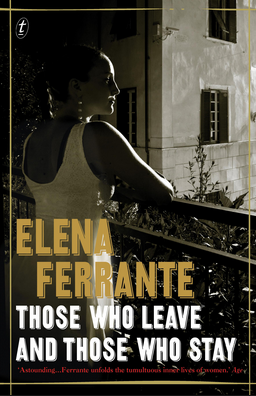 In contrast, her friend Lina seems to have made all the wrong choices -- she's run away from her husband after a failed affair, working in terrible conditions in a sausage factory, supported by a childhood friend, Enzo, whom she does not love. The Story of a New Name broadened the canvas to include the whole of Naples. Those Who Stay and Those Who Leave widens the focus still further as Lena moves to Florence, and the characters are engulfed in the conflicts of 1970s Italian politics, battles between fascists and communists, the elite, the criminal classes and the workers. Fittingly, the book ends with Lena aboard an aeroplane for the first time, heading for France -- will the final volume moe out of Italy to encompass other countries? I'm going to the library today to pick up The Story of the Lost Child, so I'll soon find out. I've been waiting for this book for AGES -- Martin Flanagan's account of the Western Bulldogs magical, unexpected 2016 premiership. So when my preordered copy hit the doorstep, I took a brief, indulgent break from Elena Ferrante so I could gobble it down. 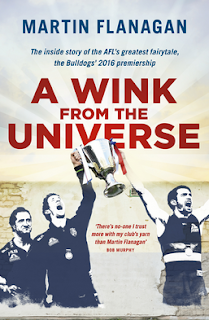 Martin Flanagan, more than any other football writer, captures the mystery and the drama and the poignancy at the heart of the game of AFL rules, and he gets the Bulldogs. He helps explain to me how I, a football hater, became drawn in to the community of this particular club, and how I too gradually got it. His writing is superb. Every page sparkles with a perfect metaphor, a brilliantly drawn description. He writes about the history of the Bulldogs, an egalitarian club, a working man's club from the wrong side of the river. He writes about Bob Murphy, a footballer with rare wit and soul, the premiership captain cruelly denied his place in the playing team. He writes about Luke Beveridge, an ordinary player who became an extraordinary coach, a passionate story-teller who wove the power of his belief into a team without superstars, and transformed them into winners, a team surfing a wave he created right up to the ultimate prize. Flanagan's account of the Grand Final match itself makes me want to go back and watch it again with the book in my hand, to pick out the same moments he narrates with such perfect, lively description. Any excuse! But this is not just a book for those with 'Bulldog dreaming.' It's a fairy tale, a story about the power of belief, about the magic of belonging, and a joy long-denied. 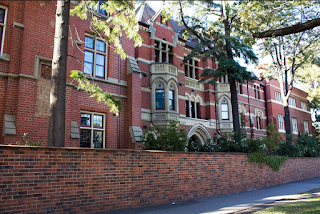 Residential colleges have been in the news. Horror stories of bastardisation, bullying, cruel and demeaning 'initiation ceremonies,' a culture of alcohol abuse and sexual misconduct. I spent my first two years at university living in a residential college. It was a long time ago, more than thirty years -- generations of students have passed through 'my' rooms since then. I too heard horror stories, mostly from the larger colleges (the ones that used to be males only). I had the impression that the smaller colleges, like mine, which had previously been women's colleges, had a more healthy atmosphere. Sure, we did some stupid things, things that might be frowned upon these days. During Orientation Week, after a chicken and champagne breakfast, we 'freshers' were asked if we'd like to swim across the Yarra, and a handful of us were dumb enough to volunteer. But we were asked, not coerced, and we were picked up on the other side. (I only just made it.) We stood on the roof and dropped water balloons on fellow students returning from the pub. We partook in a mid-year scavenger hunt which involved, frankly, the theft of private and public property. There was a lot of free alcohol sloshing around, and not everyone handled it well. Actually, no one handled it well. It wasn't until the novelty had worn off and I made friends with some older, more cynical residents, that I recognised the unhealthy aspects of college life: the reckless encouragement of binge drinking, the sexist attitudes of some of the male students, the superficial categorisation of residents as 'good blokes' or 'sluts' or 'dags' or 'up themselves.' But I made some lifelong friends, and I learned a lot, about life and love and myself -- not much about law, though, which I was supposed to be studying. Mostly my experiences were positive, but two years was enough for me. It was like no other time of my life. I took risks I never would have taken otherwise, befriended people I never would have met on campus, had my first sexual encounters (some great, some terrible), lived with strangers for the first time, fell in love with unsuitable people, made enemies, lost control sometimes, learned to say no. And while I certainly wouldn't wish on anyone the kind of abuse that I've read about, for me, some of the negative college experiences were the most important ones.